Tags : Nova Scotia, Sociable! Sociable! 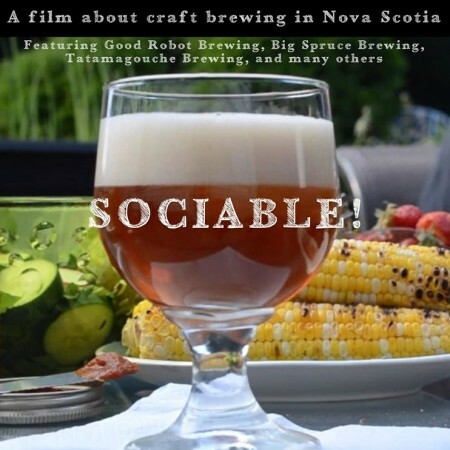 was produced by part-time filmmakers Helen MacGillivray and Chris Thomas, who travelled throughout Nova Scotia from 2014 to 2016 to film and interview at every brewery open in the province at the time. The resulting hour-long film made its public debut at Good Robot Brewing in October 2016, and has been screened at a number of Nova Scotia breweries and beer events in the two years following. The online version of Sociable! can be streamed for free at a variety of resolutions up to and including full 1080p HD. For more details, see the Sociable! Facebook page.